The terrible truth about what will happen if gay marriage is legalized in America. 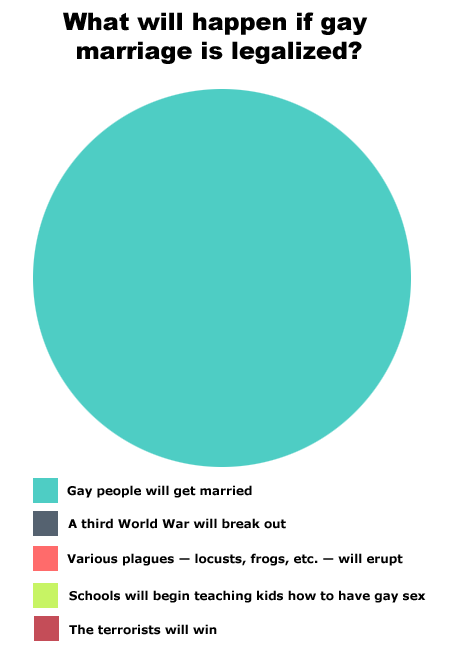 Hopefully this pie chart will clear up any confusion about the outcomes of legalizing gay marriage in America! manifested as a psychotic reaction from the horribly traumatic experience of childhood sexual abuse. of believing that it is ethical and progressive to support homosexuals.